The Manx 100 . . . Brutal! Yes, it's been a while. Several months, in fact, since I last wrote a blog. I really don't want to dwell on it but it's been a rather challenging season on the bike again this year, with injury, illness and a variety of other things meaning I've not done most of the races I intended to. One race I definitely did not want to miss was the Manx 100. 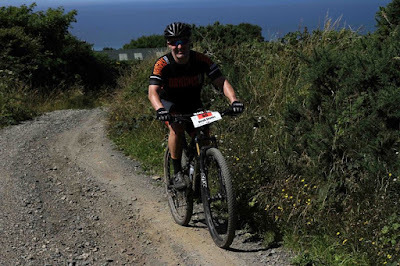 100 miles with 5000m (16,500 feet) of climbing, mostly off-road, around the Isle of Man. A proper adventure. A grueling challenge of endurance, both for the body and the mind. 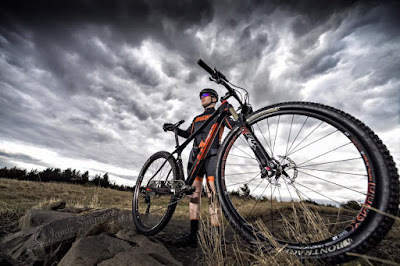 The type of event that originally got me into mountain bike racing in the first place. It's fair to say I'm not enjoying going round in circles at XC races these days, but I didn't want to miss an epic adventure like this. I knew I wouldn't do as well as I could, given I've lost fitness, put on some weight and not been training as hard as usual. But even finishing this race is an achievement in itself. It's hard to describe for those who don't mountain bike. To put it in perspective: The last time I did 100 miles on the road it had about 1300m of climbing and took me 5 hours. The Manx 100 is mostly off-road, on some of the roughest most brutal, physical terrain I've ever encountered. With 5000m of climbing. That's 5 and a half Scottish munro mountains. It's well over half way up mount Everest! That's why it took me 13 hours! We arrived on the Isle of Man on the Saturday evening before the race to be greeted by a really friendly welcoming bunch. 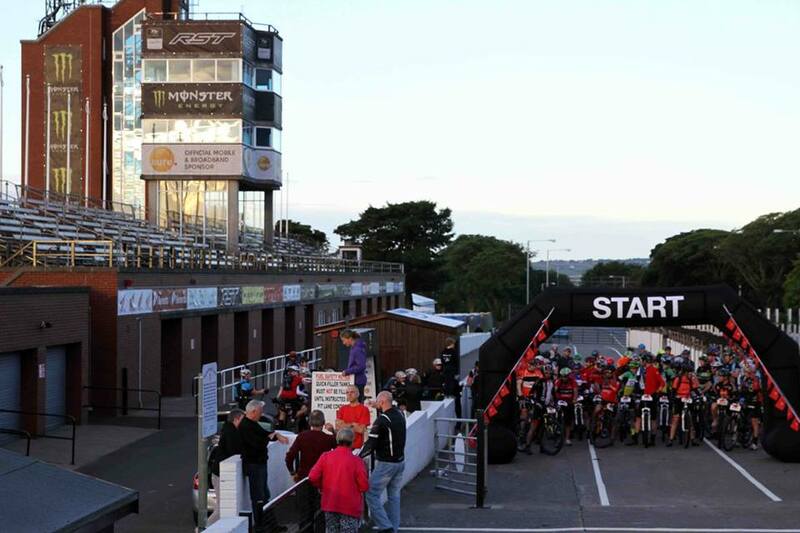 The Manx 100 is one of the best-organised events I've ever done, and that is testament to the hard work of the whole team. At sign-on, we received our race number, a hoody and a special Manx 100 beer. We were also told we'd receive a second beer if we finished the 100 miles - a good incentive! With the race briefing done it was off for an early night in the campervan as the race was to set off at 6.30am from the famous Isle of Man TT grandstand on the Sunday morning. We were escorted out of Douglas by a police motorbike rider for a few "neutralised" miles before the proper racing began as we turned off road into the hills. Despite being such a long event, the pace was high at the front and I soon slipped back from about 10th to around 20th within the first few miles. I'd set myself a target of top 20 and finishing in 12 hours but I knew I wasn't at peak fitness and would definitely lose places on the climbs. With so much climbing, I tried to not beat myself up as I slipped back into the 20s. The scenery was simply stunning. It was my first visit to the Isle of Man and the terrain very much reminded me of Scotland, but in a lot of ways it was even tougher than anything I've ridden at home. I've done the 97 mile West Highland Way in one go, and despite it having more "hike a bike" sections on it than the Manx 100, I would say this route around the Isle of Man was considerably tougher. 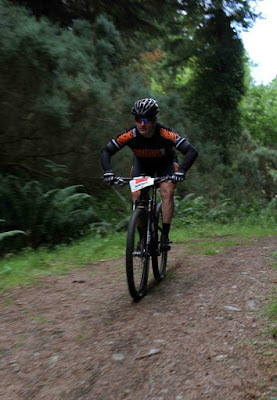 It has to be one of the toughest endurance mountain bike races in the UK, if not Europe. Not only was it an insane amount of climbing, but some of the climbs were steep and strewn with loose boulders. I'm not exaggerating . . . boulders and rocks; not stones and gravel! It was so difficult to keep traction on some of these climbs. Fine if it's early in the race and you have plenty of energy but I had to get off and walk some of them later on as my body was so tired and beaten up. Upper body strength is absolutely vital in an event like this and as I sit here a few days later, my legs don't feel too bad - it's my back, shoulders and neck that are still sore! The descents too . . . wow! Some of them were also covered in large, loose rocks. The kind of descent where speed is your friend, but where you have to balance the benefit of speed for skipping over the rocks with the chance of a crash if you make a mistake. Thankfully, I didn't crash at all during the race, but my body felt like I had! The descents were fun, but very very physical in places, especially on a short travel XC bike. I'm so glad I used my full suspension Trek Superfly. Without it, I'd be surprised if my back would still be in one piece! The bike was amazing. I dropped my chain twice, but the terrain was so rough I can't really fault the bike for that. Otherwise, not a single mechanical issue. I ran Bontrager XR2 tyres without any punctures. My pressures were a bit higher than normal to help prevent punctures but it's so impressive such a lightweight tyre withstood that kind of punishment. I'm also pleased to say there were no issues in the saddle department thanks to Crotchguard. It lasted 13 hours and not a single saddle sore. I've never had a traditional chamois cream able to claim that! There were three really low points in the race where I was seriously thinking of giving up. As I was grinding the pedals slowly up yet another steep, loose, relentless climb, I just didn't think I could go on. But it's amazing what a bit of food, some fluid and a descent can do for your morale! The bag drop service provided by the Manx 100 team was essential and really well organised. The marshals were fantastic too; not just providing water, timing and safety checks, but in their ongoing encouragement for all riders. At the 100km point, you get the option to drop to the shorter (but still tough) 100km route and finish there. This is still respectable and no shame at all in doing so, but despite my two low points up to then, I had just finished a descent and seemed to have forgotten about the pain of the climbing. I'd done over 3000m climbing by that point so there was more to come, but I couldn't give up. I had to finish the 100 miles, even if it took me all day! I was comfortably within the cut-off times at all the checkpoints. They provided a great live timing service, with a clever timing chip built into your race number board. British Cycling could learn a thing or two from this, rather than their archaic manual timing at national XC events! The checkpoints were not just there for live timing but to ensure you pass them at a point that will enable you to finish the full route before dark. I was well within the cut-off times and although not as fast as I'd hoped, was still on target for doing the full route in about 12 hours. However, the climbing in the last 68km of the full 168km course (yes, it's actually over 100 miles!) nearly broke me. I didn't think it was going to be flat at the end of course, but every time I came down a descent I felt like I was just straight onto another tough climb, grinding up it slowly in my lowest gear. There is only one truly flat section on the whole course. For the rest of the 168km, you are either going up or down. Simple as that! By this point, an old injury in my left calf had flared up and felt like someone was stabbing a knife into my calf muscle on every revolution of the pedals. It would then seize up on the descents when not pedaling. My back hurt. My arms hurt. My hands were covered in blisters (despite wearing gloves). I was drinking and eating to plan and definitely keeping my energy stores topped up, but every climb just got harder and harder. One thing that definitely kept me going was that my wife and in-laws had come over to the Isle of Man to spend the day doing touristy things while I was out on the hills, but they also came to a few key points to cheer me on. This definitely lifted my spirits. I felt bad not stopping to speak to them the last time they did this but I only had about 10 miles to go and thought if I stopped I wouldn't get going again! Towards the end, there were some great flowing trails through a forest nearer the south of the island. Some man-made, some with more of an "enduro" feel to them. Great fun and quite different from the rough, exposed, physical, rocky descents from earlier in the day. Definitely helped to lift the spirits a bit towards the end. As I turned off one of the final short tarmac sections and back onto a forest trail to head to the official finish line, I knew I was going to do it. I hadn't done it in 12 hours and I wasn't in the top 20, but I'd finished. And that's the main achievement for anyone in this event. It is one of the toughest things I've ever done in my life. Yes, I've done several solo 24 hour races, even came 3rd in my category in the 24 hour solo world championships . . . but I felt more tired and beaten up than at any 24 hour race I've ever done. 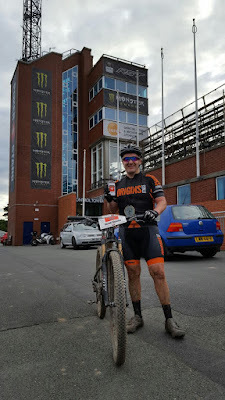 I finished in 13 hours 4 minutes (although they add on 10 minutes to everyone's time for the "neutralised" ride back from the official finish line to the TT grandstand). I was 11th in the Masters category and 28th overall. That's out of about 30 and 80, respectively, who started the 100 mile route. Yes, I know I could have been a lot faster and higher up the finish results if I was at full fitness, but I'm so happy to have finished and to not have given up despite some very low points and not feeling fully fit. How do I feel now? Glad it's over! Proud of myself for finishing it. But very unsure if I'll ever do it again. With my (well deserved!) finishers beer and medal! I always say that after events like this and then end up signing up again the following year. But this feels different. It was just so so tough that I feel I don't have to prove anything again, even beating my time. I finished it, in a very respectable time, and I'm happy with that. 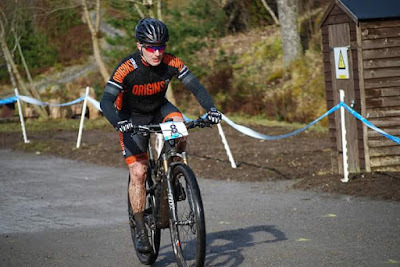 However, I've heard the great news that the Manx 100 is going to be the British MTB Marathon Championships next year, so that is very tempting. They'll be using the shorter 100km route for the British Champs but you will have the option to continue on and do the full 100 mile route. Ask me in a few months and I'll see if I've changed my mind! All I want to finish with is a massive thank you. To all the marshals. 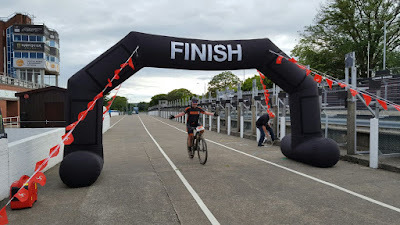 To the whole team at the Manx 100 for putting on one of the best organised events I've ever done (although they are truly evil for putting that much climbing in!). To my wife and family for their support and encouragement, as well as all my friends for their kind words after me completing the race. I'm really enjoying riding my bike again after the various challenges so far this year. I've got a few XC races left but probably won't do them. I'm enjoying longer more adventurous rides rather than putting silly pressure on myself to compete in XC races. I'm enjoying what I consider to be "real" mountain biking far more than going round in circles! So, I will still do the British MTB Marathon Championships and the Tour de Ben Nevis and focus on what I enjoy! The Manx 100 may have been brutal, but it reminded me that's why I ride my bike . . . to spend an epic day in the mountains! We all question ourselves in every aspect of life, but when you're training hard for any kind of sport you can find yourself questioning every little detail. Did I train too hard, did I do the right training, did I rest enough, did I eat the right thing? Will it all work out on race day?! It's been a long winter of training. Twenty three weeks to be precise. I've really enjoyed it. I've tried new things. I've pushed myself in ways I've never before. I've managed to stay healthy and have rested when I've seen any sign of fatigue appear. I've worked hard. I've taken it easy when my body has told me too. I've got the great support of a new sponsor, Origins Fitness, including some expert Personal Training advice from Pamela in the gym there. 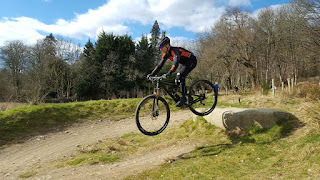 I've also had some fantastic advice from Tom Bell that has really improved my training results (check out his website and YouTube channel for great mountain bike training advice). But would all this turn into race results? That's the main question for a racer as you approach that first race of the season, which for me was Round 1 of the Scottish XC Series at Laggan Wolftrax in the highlands. 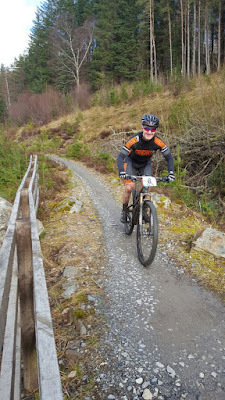 I loved the course at Laggan last year. On arriving this year, the course had been changed slightly - it was basically one big fire road climb and one nice long descent with a mixture of technical rock gardens, a short muddy slippy section and some fun berms and jumps using the orange "freeride" area to finish. Roughly equal time climbing and descending and it suited me pretty well. I thought it was a great course again so thanks to the SXC guys and local organisers! 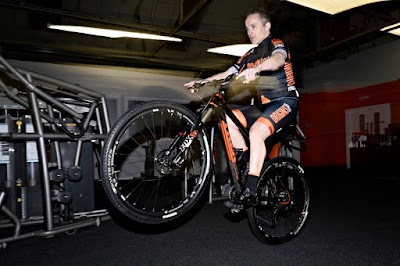 I did 3 practice laps on Saturday, 2 easy and one a little faster - it's important to experience some of the downhill sections at near race pace the day before rather than for the first time in the race itself, but try not to push yourself and tire out too much. It was also great fun doing practice with my wife Heather. As a brief aside, she did a few races in the Senior Female category last year, including a win at Forfar and 2nd overall in the series so she is now also competing in the Expert category and came 7th in her race! So so proud of her! Amazing for her first race with the Expert/Elite ladies! The weather on Saturday had been pretty wet, gale force winds overnight (which required quick dismantling of the gazebo!) and pretty cold. It was therefore nice to see it brighten up a bit on Sunday and the weather to be drier than forecast. The track was still muddy and wet in places and while some of the rocks were slippery, most of it was actually pretty grippy and I was happy with my tyre choice of Bontrager XR1s. All my prep went well but we had a 45 minute delay to our race so that the ambulance could deal with two casualties from the previous races. Thankfully nothing too serious I think and I hope they are both recovering well. Totally understandable delay and you have to be flexible to deal with these things. I stopped and restarted my warm-up when I heard, but maybe spent a bit too long warming up - something I need to experiment with this season I think. Calm before the race - even managed a smile for the camera! I hadn't peaked for this race. That doesn't come until the end of May and it's only the first race of the season! I reminded myself of these facts and lined up calm and ready on the front row of the grid thanks to my placing from last year's overall series. 1 minute . . . 30 seconds . . . 15 seconds . . . Bang! I didn't get clipped in straight away but was in reasonably quickly and happy enough with my start. I stuck well with the group and we didn't really spread out initially - there was a head wind up the first climb so people were trying to tuck in behind each other. I was pleasantly surprised that I was staying with the "big names" up that first climb. It was a small but pretty strong, tough field. Some guys I know from last year who get great podium results in Elite/Expert and some people I didn't know but had heard were really good. I stuck with the group for the first 3 minutes or so of the climb. I wasn't max'd out and while it wasn't easy I knew I could maintain it for the 8 or 9 minutes of that fire road climb. However, someone then put the hammer down and the pace just changed once we turned a corner away from the head wind. It turns out it was Callum MacGowan and he went onto lead and win the race. Callum has only just moved up from Juniors to Expert - I've chatted to him over the past two years at races and I'm so happy to see him win. Especially against such a strong field and by a decent margin in his first Elite/Expert race. Well done young man! He's definitely one to watch for the future and I'll be keeping a close eye on his results in the British Series too (where he's clearly going to beat me too as we're now in the same category!). I just couldn't stick with that pace. I kept the group in sight most of the climb and had a few guys behind me, but wasn't sure how many. The juniors go at the same time as us so some of the people in front and behind would be those young but fast guys! I didn't want to burn all my matches on the first lap so I just stuck at a pace that was hard but not too hard and hoped I could maybe catch up as the race progressed. In the end, I stayed in the same place for the remainder of the race and rode on my own, other than lapping some people in other categories and being caught by the leading 2 or 3 from the Sport and Vets category behind (they get set off 1 minute and 2 minutes behind us respectively so their leaders do tend to catch a few of us in Elite/Expert by our later laps, although we are doing one more lap than Sport and Vets). So, head down and ride your own race! In some ways this is a good thing and I enjoy just getting my head down, keeping an eye on my lap times and trying to work on my consistency, but it's also nice to have someone to race against. A big positive is that I put more time into the guys behind as each lap went on so I had a good margin, but I just couldn't catch the group in front. On lap 2, the skies opened and the wind came howling along as I descended . . . and brought with it hailstones! I'm so glad I had my Oakley glasses on to protect my eyes but bare legs and lycra ain't much defence against hailstones! Ouch! Hailstones and head winds ain't much fun to race in! Then it was sunshine again for the rest of the race! So, while I clearly slowed down towards the end (and I'm still analysing why), I'm happy with laps 2, 3 and 4. Any variance under 30 seconds is good and especially looking at laps 3 and 4. In fact, in lap 4, I dropped my chain on one of the rock gardens so that took 5 or 10 seconds to get back on. I stayed calm and didn't panic, but it shows lap 4 was probably even faster. Thanks so much to the other riders who I overtook from other categories on laps 3, 4 and 5 - amazingly kind and great etiquette to allow us to pass. As for the dropped chain - I fitted a new chain recently and maybe need to take a link or two out. I now run Shimano XTR 1 x 11 on both bikes but no chainguide. I've found the Shimano chainring tooth pattern and XTR clutch mech flawless all winter. I've done some pretty rough stuff and never dropped a chain. I thought I made this chain the same length but maybe not. I'm going to check it, probably shorten it and if I drop it once more I will invest in a small lightweight chainguide to prevent this happening again in a race. It thankfully wasn't a crucial moment and didn't cost me much time. I'm happy with my descending too although feel there were some sections I could have gone a bit faster - it's a fine balance of speed vs. risk in a race! On the 5th and final lap, I settled in nicely to the climb and had actually forgotten how much it was hurting! I enjoyed the final time down the fun descent and even smiled before crossing the line! So, why the mixed feelings? Well, on analysing my data afterwards, I feel I could have actually pushed myself more, both on the climbs and descents. I also do wonder if I could have stuck more with that surge in the first lap. I'm also not sure how my warm-up affected me - it was a bit start/stop because of the race start delay but everyone was impacted by that so it's not an excuse. I think I need to experiment with a shorter slightly less intensive warm-up though so will report back on how that goes. Overall, I'm happy with that as a start to the season and as I've said above, it's the first race of many and there's a long way to go before I peak in my training plan. 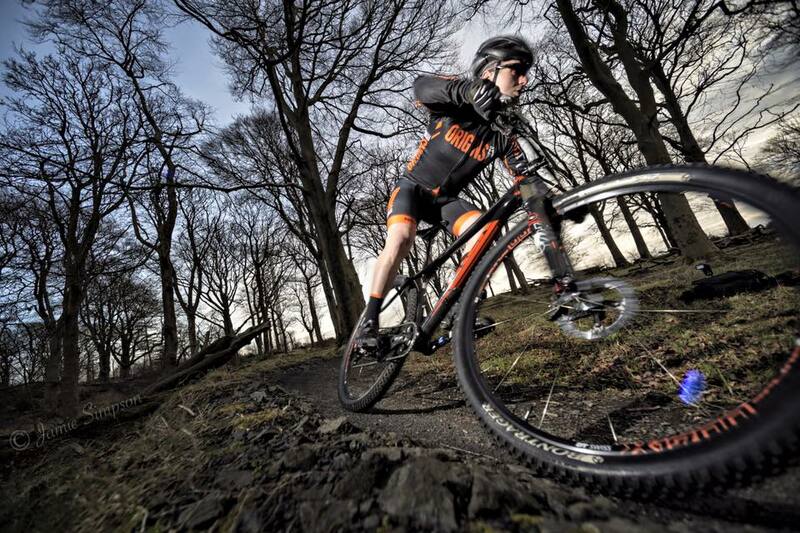 It's the first round of the British XC Series next week at Pembrey in Wales. If I'm perfectly honest, the course footage I've seen looks not very inspiring at all but I'll try to reserve full judgement until I ride it - it just looks flat and not very technical. 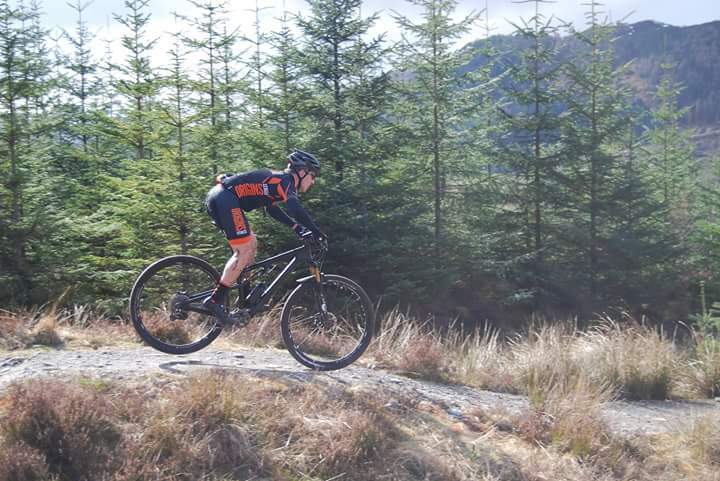 I do hope the videos and photos just don't do it justice as it's a round of our national series after all so should be up to the same standards as the great SXC courses like we had at Laggan. It's so good to be racing again! There's no point training really hard to prepare for races, or even just generally riding your bike for fitness and fun, if you don't fuel your riding properly. You wouldn't deliberately put the wrong fuel in your car, yet every day many of us put the wrong fuel in our bodies. I'm not claiming to be an angel when it comes to food. I used to eat terribly, until I found cycling and it basically changed my life. I still have the odd "off the wagon" moment, a few treats now and then, and those times when I know I'm eating the wrong thing. I'm only human after all and it is not good for anyone to abstain permanently from the odd treat. But the majority of the time, and for most of the race season and the months of training leading up to it, I try to ensure I'm fueling my body properly for training and racing. This isn't just about fueling on the bike - what you eat day to day plays a big part too. I'm not a nutritionist or dietitian. I have no qualifications. If you need proper professional advice, I recommend you go see someone like the expert nutritionists and personal trainers at Origins Fitness or your own local gym, health centre, or doctor. However, what I've included below is just a few simple hints and tips to help you on and off the bike, based on what I've learned over the years. It works for me, and so I'm not saying it will necessarily work for you, but it's a good basis to start from. Experiment and find what works best for you. Eat "clean" as much as possible - that is, cook your food from scratch and avoid processed packaged foods. This is the only way to know exactly what you're putting in your body and be careful eating out. For any ride over an hour, eat! Unless you're doing an easy Zone 1 or 2 fasted ride (which is good for teaching your body to use fat stores) - for anything over an hour, make sure you take food with you to avoid the dreaded "bonk". Eat regularly during the ride. As I've already said, I'm not a qualified nutritionist or dietitian, and I also don't plan to give you lots of recipes and detailed meal plans here. However, I've included a few ideas based on what I have myself day-to-day, to help you get started if you're looking for ways to better fuel your training and racing (or to just eat a bit more cleanly). Good old meat and veg - favourites include sweet potatoes (I rarely eat white potatoes), carrots, parsnips, asparagus, onion, butternut squash. You can spice things up with your favourite herbs. I have been known to cover everything in ground garlic - it's so good for you too! Just make sure you brush your teeth afterwards! :-) Use turmeric too - great for recovery. The dreaded snack! The time that most people give in and have something they shouldn't. Snacking is good, as I've said above, and I try to ensure I eat roughly every 2 to 3 hours. I'll usually have a snack at about 10 - 10.30am and then around 2.30 - 3pm in work. If I'm training that night I might have something else around 5pm ish just as I'm leaving work and it'll be more focused on energy (such as an energy bar). I've been known to have a bowl of porridge (told you I love it!) at about 4pm if I have a hard or long training session planned at 6pm or 7pm. However, the rest of the time, I tend to stick to the following. Just watch the portion sizes as the nuts can be high calorie despite how good they are for you. Preparation is key so make sure you take snacks with you to work to avoid the vending machine! Protein shake (quite often the best way to get a protein dose if I'm in meetings in work rather than munching away in the corner!) - just watch out for added sweeteners which can mess with your blood sugar level. Stevia is a good alternative sweetener that is much better for you but it doesn't agree with me. I'm now just sticking to plain unflavoured whey. Chicken - a great tip from Graham at Origins Fitness: cook up an extra chicken breast with your dinner the night before and flavour it with your favourite herbs or spices (e.g. chilli and garlic). Chop it up, let it cool, and you've got a tasty protein-filled snack for the next day! I hope the above gives you a few ideas for changes you could make day to day. The emphasis is on high protein/fat and low carb unless I need the carbs for training. So, what about training then? Well, it depends on the type of training. If I'm doing a short high-intensity effort, I find I don't need to load up on carbs before it. Just eat normally throughout the day then have some fruit or an energy bar or some carb drink before the ride. You don't need anything during a session like that, but make sure you get some carbs and protein into your body as soon as possible afterwards. I find a banana and a protein shake the quickest way to do so, or if I've prepared more in advance, I'll just have my lunch/dinner straight away afterwards, depending on the time of day. In general, you want to aim for 1 - 1.5g of carbohydrate per kg of bodyweight per hour to ensure you remain fueled, especially in a longer race. Another rule of thumb is about 300 calories per hour (very roughly half of the kilojoules you'll put out per hour) but that varies depending on your body, the intensity, your power output and so on. I used to have more than this in XC races and realised I was causing myself to feel bloated and get sluggish towards the end. As long as you fuel properly beforehand you really only need a sugar boost every now and again, as above, in a race of approx 1.5 hours. I realise I've gone on about clean eating above then I'm now saying I use energy gels. I completely understand they are not "clean" but the ones I use don't have much added to them and I've yet to find a clean alternative to gels that I can get in my mouth quickly during a high intensity XC race! For longer endurance races, I might have more carbs the day before the race and a bit more protein for breakfast (e.g. 3 eggs) to ensure I'm fueled for longer, but otherwise pre-race is the same. When it comes to during the race, I will typically go with the following, but bear in mind this is based on my weight and I have erred towards the 1.5g of carbs per kg of bodyweight mentioned above and I just ease off if I start to feel a bit too full. I've got to know my body well and can tell in advance if I'm at risk of eating too much or if I just need some plain old water instead of High5 4:1 (remember it's food, just in liquid form!). So, I realise that's been a relatively long blog and not any pictures to spice it up in between, but I hope it has been useful and informative. As always, if you have any questions please leave them in the comments box below or post on my Facebook page (link on the top left of this page). Thanks as always for reading and remember to speak to a professional if you want proper advice - the above is just based on my experience! 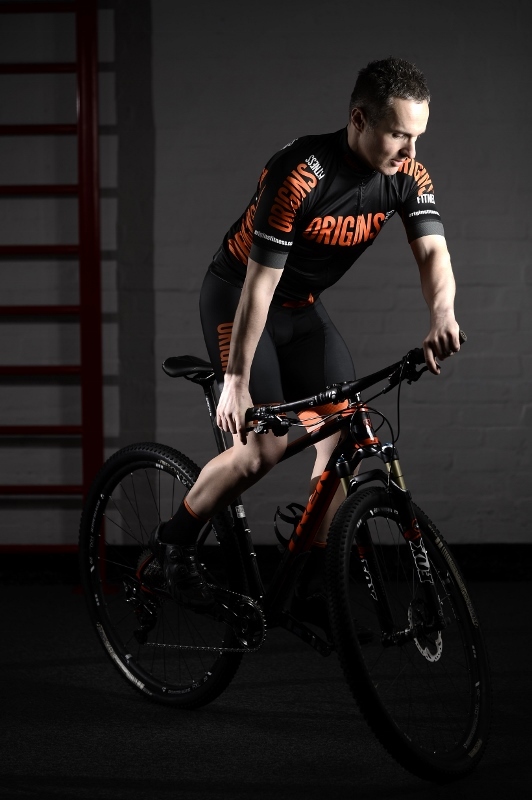 One week from now my first race of the 2016 season, riding for my new sponsor Origins Fitness, will be done and dusted! I started my training for the 2016 season back in October 2015. If you include my 5 week "prep" phased, I've just completed my 22nd week of training for this season today. 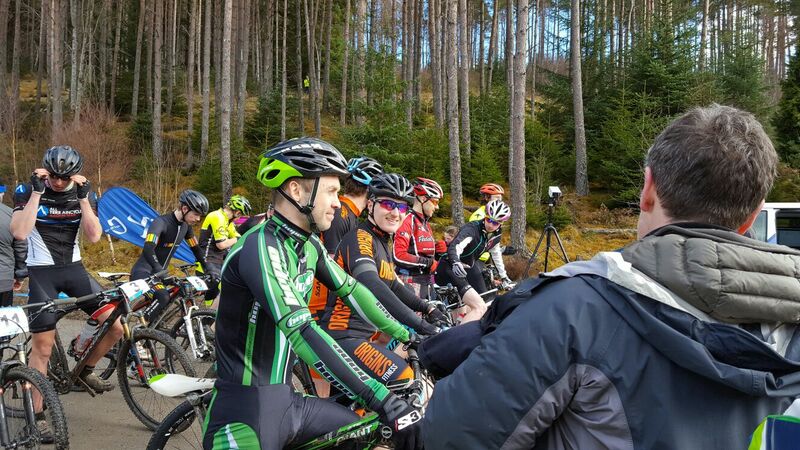 As I'm sure you can expect, I can't wait to get racing at the first round of the Scottish XC mountain bike series at Laggan on Sunday 27th March! I'm well into my "Build" training phase and so have moved on from all those steady base miles in the winter and have been enjoying some tough interval sessions a couple of times per week. I've had a real confidence boost in those sessions this past week, as I've seen my numbers improve week on week. A further confidence boost came this weekend as I finally completed my weekly road group ride with the Glasgow southside "chaingang" without being spat out of the back . . . and in my fastest time yet. 81.5km with 940m climbing in 2 hours 21 minutes - got to be happy with that. Beautiful sunshine too, so I went for a nice cool-down ride afterwards to enjoy more of it. It's hard not to have a cheesy grin after a great bike ride on a day like that! 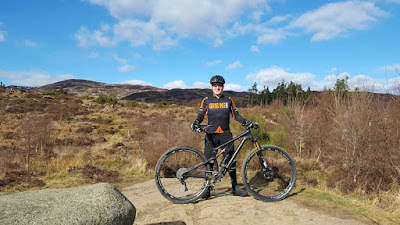 Despite the aching legs from Saturday's road ride, it was off to Comrie Croft today for some mountain biking (well, I am a mountain bike racer after all!). I love the trails at Comrie - proper red and black graded trails, not tamed down like some other trail centres. I would go to Comrie every weekend if I could! The reason we chose it for our ride today was due its similarity to Laggan where the first race of the SXC Series will take place next weekend. 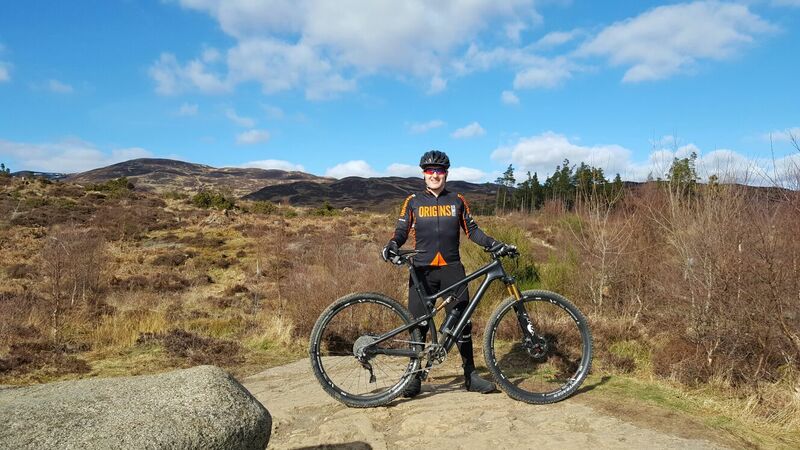 Laggan and Comrie are both mainly rocky trails, with a mixture of natural exposed bedrock and man-made rock gardens. The difference is that Laggan is over 2.5 hours drive away from where we live, while Comrie is just over an hour. A great place to hone our skills for Laggan next weekend without the long drive. Plus, the sun was shining yet again! Today's ride was not about high intensity - nice and steady Zone 2 most of the time. However, on the descents, I was focusing on line choice, smoothness and working on my skills through the rocky sections. This is just after the start of the black route at Comrie . . . the picture doesn't do it justice! It's a lot rougher and steeper in real life! Hence the look of concentration on my face! It's also a while since I've worked on drops and jumps, so the small skills loop at Comrie Croft was useful for refreshing those skills. You do get the odd jump or drop in an XC race and it's also just simply fun to be in the air on a bike! 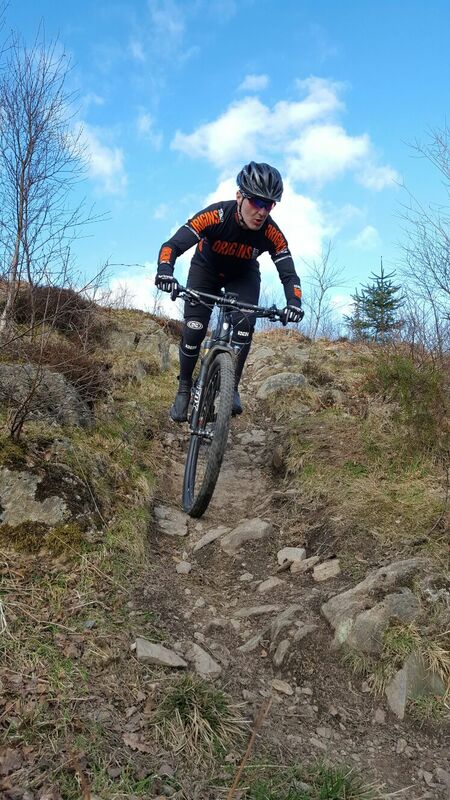 Setting a new fastest time on the black descent at Comrie was yet another confidence boost, but even without that, it was a great session to do some final tuning-up of the rock garden skills in advance of Laggan next week. Now, I'm not planning to "peak" for Laggan . . . to peak for your first race could mean you burn out half-way through the season. I therefore don't expect to be completely on-form for Laggan. It's been a long, hard winter of training, but to see these improvements at this stage shows it has all paid off and I feel ready to start the season. I'm so motivated to get racing for my new sponsor and can't wait to get back to Laggan. It was one of my favourite races last year and I love the trails there. As well as training hard over the past few weeks, I've also found time for a bit of fun now that I've got my awesome looking new Origins Fitness kit to race in this season. 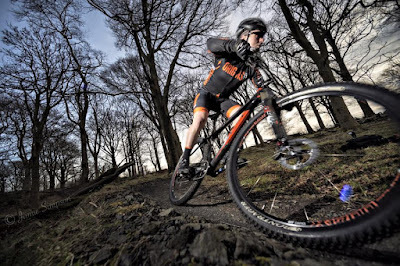 Thanks to my great friend and amazing photographer Jamie Simpson, we've had fun taking some promo photos both at Cathkin Braes MTB track, and at Origins Fitness gym itself. As you'll see, Jamie is a great photographer so check out his Facebook page and get in touch with him if you like his work. You can read our official press release about the new sponsorship here on UKXCNews, and here are some of the photos we had fun taking. 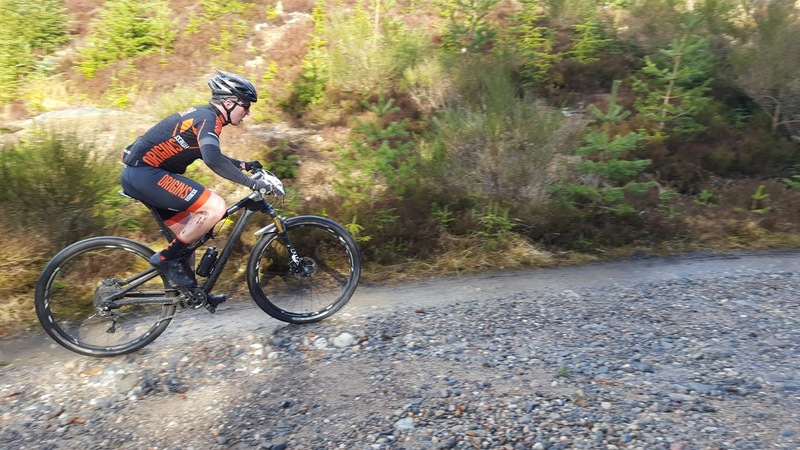 In the meantime, check back in a few days for another blog before the season gets underway and next week for my first race report of the season after Laggan. MyHi Protein Review: Good intentions, but definitely not "healthy"
When a company with the tag line "deliciously high protein" sent me some free samples to try, I thought: great, a food company focused on delivering healthy, protein-rich food to the masses. I appreciate this is a sweeping generalisation, but most people don't get enough protein in their diet and so I thought it can surely only be a good thing that a food company is trying to improve that. Unfortunately I was wrong . . . I really do believe MyHi have good intentions. The problem is how they've executed those intentions. In my opinion, what they've delivered is processed food, albeit with extra protein added, but it's still processed food. As an athlete, I can't possibly recommend this to any of my readers on this blog. Some of it tastes good, some not so good. Some of it is convenient. But therein lies the problem - convenience. I have a busy day job. A busy training schedule. A wife. A family. Friends. A social life. You get the point - I'm busy! But I still find the time to make nutritious clean unprocessed food, from scratch. There really is no excuse to not obtain all your nutrients from natural sources, so I was surprised to read in the MyHi press release included with their samples that "the team found that on a macro nutritional level, it was incredibly hard to find nutritious snacks or easy-to-prepare foods on the current market with a high enough protein content for those on a fitness regime". Really? An egg? Chicken? Almonds? Cottage cheese? A simple scoop of whey protein powder in a shake, in a yoghurt, added to your porridge? They couldn't find these? Those who know me know that I can't give a biased review just because I was sent some free samples, so what you'll find below is my honest view on the MyHi products I've tried. It's a real shame as I had such high hopes for this, but I personally think they are at risk of misleading and confusing the general public further. We're now going to have people thinking they are consuming "healthy" nutritious food from a packet full of processed items and additives when they could have just made themselves a bowl of porridge or scrambled some eggs. While there are a couple of items below that tasted fine and might be handy as an occasional convenience, I really don't think there's a place for most of these foods in a modern healthy diet. In each case, I'll give an alternative to show why. Don't get me wrong, I'm not an angel - I do sometimes "pig out". I do sometimes eat things I shouldn't. I do sometimes have processed food. But I'm afraid I won't be considering MyHi's products on any of those occasions. I have to start here. I'm rather evangelical about porridge. I love it. I'd eat it 3 times a day if I could (but that clearly wouldn't be a very balanced diet!). I absolutely never ever eat "ready made" packets or pots of porridge. Why? Because they are a con! £1.20 gets you a 1kg bag of natural oats from a well-known supermarket. Add milk or water, bang it in the microwave for 3 minutes and you're good to go! If you don't think it has enough protein, just pop in a scoop of whey protein powder or have an egg with your breakfast too! (and before you tell me whey powder is really expensive, it's far cheaper in the long run than buying sachets of ready made porridge that just have it added in the factory!). I tried to get over my hatred of packaged porridge just to give MyHi's golden syrup flavour "instant oat cereal" a try. I thought . . . maybe it'll be a nice treat after a training ride. A quick and convenient way to get some carbs and protein back into my body. Well, it lived up to my expectations! I followed the instructions exactly and was presented with a partly lumpy, partly runny, undercooked, not very satisfying, tiny portion of not very tasty porridge. In roughly the same time, I could have made a larger portion of oats with milk, with roughly the same calories, and felt more satisfied. If I wanted a quick sweet fix with this I could have added some maple syrup or honey. I usually have just milk and banana with my porridge, sometimes flax and chia seeds. All perfectly natural sources of fantastic nutrients and it tastes great. I really have no idea why there is a place for such products in our society when you can buy a bag of porridge oats for less than £2. What MyHi have produced is no different to the other sachets of ready-made porridge in the supermarkets, with just some added whey protein. On reading the ingredients list, I found sweeteners, corn starch, flavouring, salt . . . Why? I'll stick to my bowl of cheap oats from the supermarket with skimmed milk and I'll pop a scoop of whey protein in if I need an extra dose of protein in the morning! I come across many people who eat muesli or granola for breakfast and think they are having a "healthy" breakfast. What they are actually having is a nice bowl of sugar, causing a blood sugar spike, making them gain fat in the long run and leaving them hungry an hour or two later. Could MyHi have solved this problem with the Mixed Fruit Granola pot they sent me? In a word . . . no. Granola (83%) [Oat flakes, Soya pieces, sweeteners (sorbitol, oligofructose, steviol glycosides, isomalt), vegetable oil (rapeseed, palm), Soya protein, emulsifier (Soya lecithin), flavouring], dried fruit (17%), [raisins, papaya (papaya, sugar, citric acid), pineapple (pineapple, sugar, citric acid), banana chips (banana, honey, sugar, coconut oil, flavouring), cranberry (cranberry, sugar, sunflower oil), apple]. So, a whole lot of additives, things your body really doesn't need and a good old helping of sweeteners and sugar to cause havoc with your blood sugar levels. Yes, it tasted nice. I tried it with some natural yoghurt and it was a nice treat . . . but that's exactly what it was - a treat! I'm not saying you should never ever eat granola or muesli, but it really shouldn't be a regular thing due to the amount of sugar. Yes, I'll have a bowl now and again, and I quite often have muesli before a race. But it's carefully chosen for a lower sugar content. Again, the convenience factor just doesn't add up for me. You can buy an entire 1kg bag of Sainsbury's granola for only slightly more than the MyHi 90g individual pot. So, if you are going to have an occasional treat, you'd be far better off buying that larger bag and taking a tupperware of it with you to work. That would be just as convenient but a whole lot lighter on your wallet! As with the porridge, if you want an extra dose of protein with it, just add some whey powder and it'll still be cheaper in the long run. High protein noodles (80.1%) [fortified Wheat flour (Wheat flour, calcium carbonate, iron, niacin (B3), thiamin (B1)), flour treatment agent (ascorbic acid), Wheat gluten, salt, turmeric, natural colours (paprika extract, carotenes)], texturedSoya protein (4.8%), freeze dried minced beef (4.8%) [minced beef 99.5%, Rosemary], Szechuan broth mix [salt, chicken powder (salt, lactose (Milk), flavour enhancers (monosodium glutamate, disodium phosphate, guanylic acid), modified corn starch, chicken (5.7%), palm oil, yeast extract, chicken fat (0.6%), flavourings (Egg), chicken extract (0.1%), potato starch, whey powder (Milk), colour (caramel), antioxidants (butylated hydroxyanisole, propyl gallate), flavour enhancer (monosodium glutamate) sugar, onion powder, red chillies, ground szechuan peppercorns (2%), white pepper)], modified maize starch, dehydrated minced leeks, dehydrated carrots, dehydrated mushrooms. This is clearly aimed solely at convenience, but there are plenty of foods out there that are just as quick to prepare, cheaper and a whole lot more nutritious. I just can't condone this as it is so far from "healthy" or "nutritious" I wouldn't even class it as food. As an aside, the health problems in the western world are not just because the population eats too many calories, too much sugar and doesn't exercise enough. Plenty of "thin" supposedly healthy looking people have a lot going wrong inside because of the amount of chemicals in modern "convenience" food. There is simply no need for most of the chemicals in the above ingredients list. If you've stuck with me this far, please please just cook food from scratch yourself. I don't care how busy you are, there is time! I'll talk more about that in my next blog which will be about nutrition in general. I can't rate these as I've not tried them, but I'm afraid I simply can't bring myself to put this in my body. Cereals (38%) (Oat flakes, corn flakes: corn, sugar, Barley malt, salt), extruded Soya, Milk chocolate cOating (16%) (cocoa butter, sugar, skimmed Milk powder, cocoa mass, emulsifier (Soya lecithin), flavouring), sweeteners (oligofructose, sorbitol, steviol glycosides, isomalt), vegetable fat (palm, rapeseed), Soya protein, orange peel paste(2%) [sugar, water, orange peel, thickener (sodium salt)], Barley malt extract, emulsifier (Soya lecithin), acidity regulator (citric acid), flavouring. My problem with this is that they are trying to be a convenience snack bar that gives you more protein but there are plenty of other bars out there that have just as much protein but are far more natural. Take Nakd bars for example - same or more protein and they have no additives at all. Just natural cold-pressed ingredients. Yes, they are a bit sugary due to the dried fruit they use, but at least it's a natural source of sugar without chemicals or sweeteners added. Another little gripe with the cereal bars is that the wrappers are a bit fiddly to open. That would put me off using them on the bike as I would struggle to grab one from my pocket and open it while riding. The ingredients list isn't quite as bad as some of the other products. But my problem with these was . . . If you want a healthy snack with a good dose of protein, grab some almonds, pumpkin seeds, brazil nuts, or any other healthy nut (not roasted or salted!). You'll get a good amount of protein, some healthy fats, and other things like vitamins or minerals (e.g. magnesium) that are very good for you. No additives. Just as convenient. And cheaper when you look at the price per gram. Or, if you want a treat and to have some crisps when watching a film on a Saturday night - just have some crisps! Yes, they're not good for you, but as a one-off treat, you'll be more satisfied (because they taste good!) and therefore less likely to want something else after eating them. Wholegrain Oat flakes, flax seeds, vegetable oil (rapeseed), extruded Soya, Soya protein, Barley malt extract, glucose syrup, thickener (gum arabic), potato starch, Sesame seeds (5%), Cashew nuts (3%), dried onions, salt, flavouring. I probably would buy these. I wouldn't have them regularly but they'd be a nice treat for a snack and at least you're getting some protein from them. If I was sticking strictly to clean eating though, as I try to most of the time, I'd just have some almonds or nuts instead. So, despite quite enjoying the savoury squares, I'm sure you've got the idea by now! I really do think MyHi set out with some really good intentions but I can't possibly classify this as "healthy" food. I think some of it is actually quite bad for you and even the stuff that's not quite as bad can be replaced with many far cheaper, healthier more nutritious alternatives that are just as convenient. Not only can I not recommend any of the products above for someone who is training hard for any sport, but I wouldn't recommend them to the general population either. While it's great to get more protein in people's diets, there are far more natural ways to do it and it really doesn't take that much time out of your day to do so. I'm also genuinely surprised that the One Pro Cycling team are supported by MyHi. I can't believe professional cyclists are fueling their bodies with processed convenience food. I really do hope MyHi can take my feedback onboard and come up with some alternative "cleaner" more natural options. In the meantime, check back soon for my next blog where I'll give you some more general nutrition tips. These will be for daily meals and snacks, training and racing - and you'll hopefully see that everything I suggest is clean, natural, nutritious and really doesn't take very long to prepare.